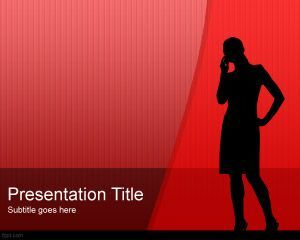 Free Women Silhouette PowerPoint template is a women executive PPT template for presentations that you can download if you are needing a free woman PowerPoint background for your presentation slides. This executive woman silhouette is great for women entrepreneurship topics including women top executives in business as well as other entrepreneur PowerPoint presentation templates. The woman is talking by phone and she is represented with a dark human silhouette. 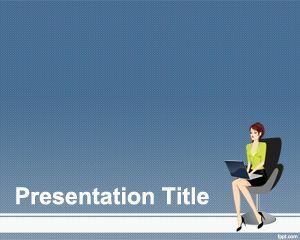 You can also download free PPT template for presentations on women clothes or fashion presentations. 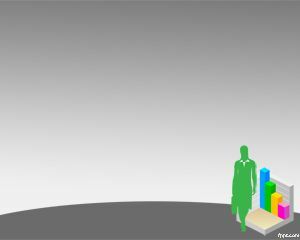 This people PPT template is great for those who are looking for free women vectors and shapes. This top executive women shape has a black color over a red background with a nice effect. 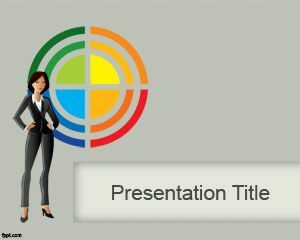 You can download this women PPT template but there are other free business woman PPT templates ready for download. 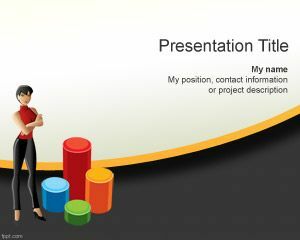 I am going to use this Power Point for creation of presentation about myself for future employee.